How can we make the needs of culture visible and important for the authorities and society? This is not an easy task in the daily flow of information. Besides, without resolving the problems underlying it, Ukrainian culture will remain far on the fringe of social dialogue. The practice of public advocacy through alliances is new to Ukrainian cultural managers, whereas this tool has been in application in Western countries for many years. How does it work? The European cultural community has always promoted the idea that it is precisely culture (more precisely, a common cultural policy) that should be the foundation of European integration processes. This discourse came to life in 1992 with the creation of the Culture Action Europe (CAE) alliance. One of its main tasks was set as advocating the interests of cultural organisations, first and foremost, in sensitive areas such as funding. This platform became an unprecedented large-scale association. A total of more than 10,000 organisations and a hundred smaller networks joined its ranks. An important feature of CAE is its cross-sectoral character: it works as an advocate not only for the interests of the performing and visual arts, but for the entire cultural world as a whole. Other prominent cross-national alliances are predominantly of a professional nature. Since its founding, CAE has boasted a number of high-profile advocacy campaigns. Thus, when the European Commission began to set the budget for 2007-2013, cultural activists set about holding a series of events under the slogan “70 cents for Culture”. The EU draft budget provided that 7 cents be spent on culture per citizen a year. The cultural community demanded that the budget be increased tenfold. More than 1,300 cultural organisations from all over the EU took part in this campaign. Politicians were engaged in the advocacy campaign, including the former president of the European Commission, Jacques Delors, and the Vice President of the European Parliament Pierre Moscovici, as well as famous artists such as the author Günter Grass. For more than two years these advocacy actions were accompanied by a media campaign. Representatives of the platform faced resistance from some political forces who believed that even 7 cents was too much. Despite all the efforts, the platform did not achieve its set objective of 70 cents per citizen. Nevertheless, the key figure increased almost twofold – up to 13 cents – in the final budget and the general public’s awareness of the problem of funding cultural projects and events was raised. Hence, this campaign can be considered a success. The next campaign was called We are more and carried out its activities between 2010 and 2013, during the period when the EU budget was being drawn up for 2014-2020. Within the framework of the “We are more campaign”, the САЕ put forward two main demands: a bold cultural programme for the EU and increased cultural funding from regional budgets. This time the campaign’s success was partial too. 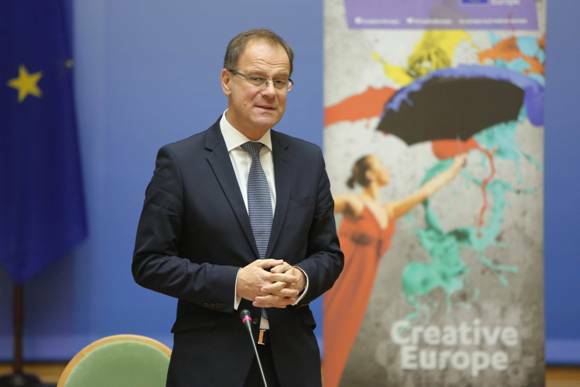 In respect of the first demand, the European Commission approved a far-reaching programme under the title Creative Europe, which generally received positive feedback from the alliance. Funding of cultural projects from local budgets increased by 7 to 8 per cent. Although the campaign has officially ended, its slogan “We are more” has transformed into an unofficial slogan for joint cultural projects, while the hashtag #wearemore is still actively used. “In the EU, like almost everywhere else in the world, funding of art and all things related to it immediately decreases with the firsts hints of crisis. 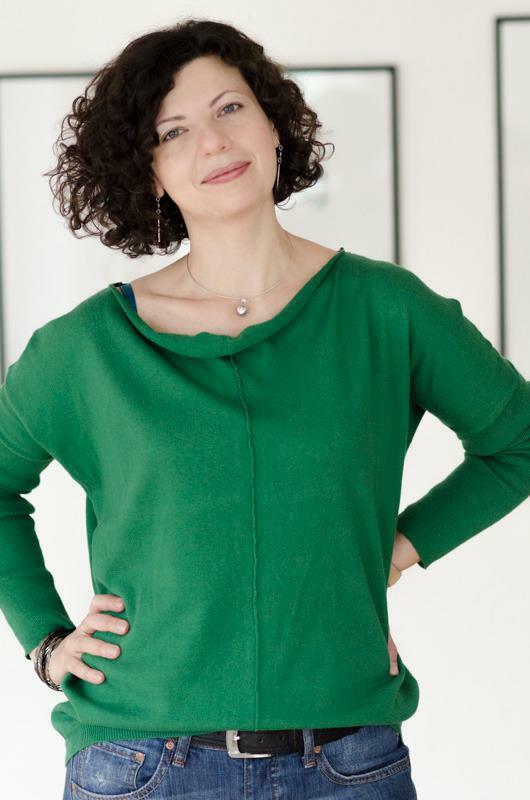 The same practice, I understand is typical in Ukraine,” says Clymene Christoforou, CAE Executive Committee member and founder of the British ISIS Arts organisation. The years of experience that the EU and the UK have shown that the joint efforts of cultural organisations can often make a difference. For instance, at the national level, British cultural organisations have, with the efforts of alliances, long learned how to speak the language of the authorities. In this respect, detailed statistics had to be collected about how the development of the creative economy impacts the overall economy as well as the social situation in the country. Everything was figured in, starting with the number and cost of hotel rooms occupied during cultural events. We now have data for more than ten years. Due to the highly active lobbying for the sector’s interests during Tony Blair’s time in office, we have a reputation resource today. Today, art is included in the social and economic strategies of the country, and this is an achievement of alliances. Later САЕ joined the EU Civil Society Contact Group. Its goal is to reinforce the influence of the third sector on EU policymakers. The group is a cross-sectoral alliance and brings together powerful alliances of NGOs working in the sphere of human rights, social protection and healthcare. САЕ representatives regularly speak during parliamentary hearings. The platform’s volunteers also directly participated in developing the European Agenda for Culture, the main EU normative document for the culture sector. 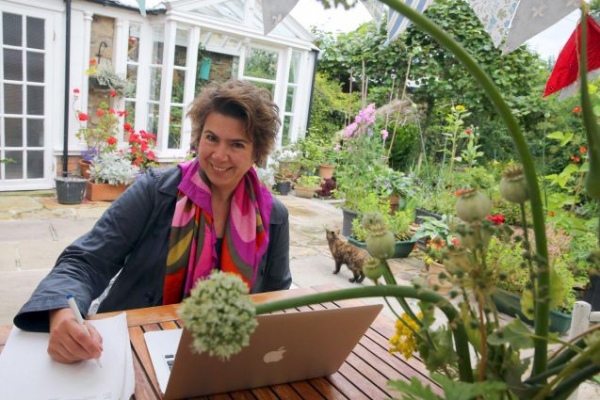 “For small organisations (practically all cultural organisations can be considered small on the scale of countries, let alone of the EU) it is very difficult to conduct advocacy campaigns on their own, due mainly to the lack of necessary resources. Despite all their efforts, the chances of their campaign being noticed by the authorities are very low. In this sense, joining an alliance offers a fundamental advantage. This is also the case at national level. For example, the British society is currently holding a discussion on whether Britain should stay in the EU, or whether an exit from the community would be more profitable for the country. Powerful players of the economic sector are lobbying for the latter option, whereas culture professionals generally oppose such an initiative. Thus, the voice of a small NGO (especially outside major cities) won’t be heard. But with the efforts of the alliance, we can make our opinions heard in the community,” says Clymene Christoforou. Anyone carrying out cultural projects sorely needs funding. A significant part of European NGO alliances working in other spheres also set themselves a lobbying task. Therefore, to avoid conflicts of interest they do not attract funding from European government structures. In the sphere of culture, a slightly different situation has developed: since cultural alliances emphasise that their primary purpose is to strengthen horizontal communication within the sector, they are mainly funded by the European Commission or its affiliated structures. However, since the end of 2013 (and the beginning of a new financial period) some publicly-funded programmes have come to an end. This meant that the networks had to seek funding through grant structures and, consequently, compete with one another. Besides external funds, all alliances use membership fees and fundraising from private supporters to finance their activities. The need to compete exacerbates relations in certain cases, yet conflicts remain more of an exception. Beyond this, European networks are clearly specialised and practically do not compete with one another; on the contrary, they readily join common cross-sectoral projects. Smaller organisations, which have access to policy-making and/or budget-making solely through national or European alliances, often conduct active advocacy at regional levels, working directly with voters. САЕ can be considered an example of cooperation between culture representatives at the highest possible level; nevertheless networks with a narrower thematic focus are active in the EU. Yet, narrower specialisation does not mean a smaller number of members. Powerful alliances have been working for decades in Europe in the sphere of cultural heritage. For instance, Europa Nostra (founded in 1963), which includes organisations from 50 countries, is one of the advocates championing increased budgets for European museums. Throughout its long history, the organisation has established significant reputation capital so that many opinion leaders consider participation in its work a noble mission. Today, it is headed by the Spanish tenor Placido Domingo. In 2002, the European Commission suggested the awarding of prizes for best practice in museums. Europa Nostra has been the prize organiser and holds the awards ceremony annually. 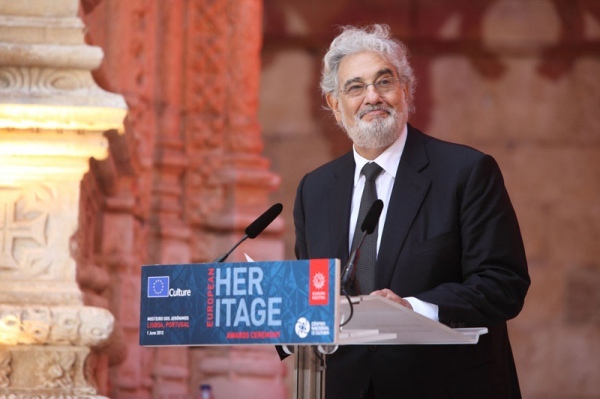 In 2011, the creation of the European Heritage Alliance 3.3, whose main objective has become furthering the interests of Europe’s movable heritage preservation, was announced. Europa Nostra is also the coordinator of the alliance’s activities and there are other influential organisations among its 30 members. Thus, the Network of European Museum Organizations (NEMO), founded in 1992 includes over 30,000 museums from all over Europe. More than 500 organisations, mostly European ones, are members of the International Network for Contemporary Performing Arts (IETM). They include theatres, dance collectives, circuses, art forums, production agencies, etc. At the same time, the network is an advocate for the interests of performing arts with officials and teaches financial management to member organisations. Its advocacy campaigns are not limited to funding matters. 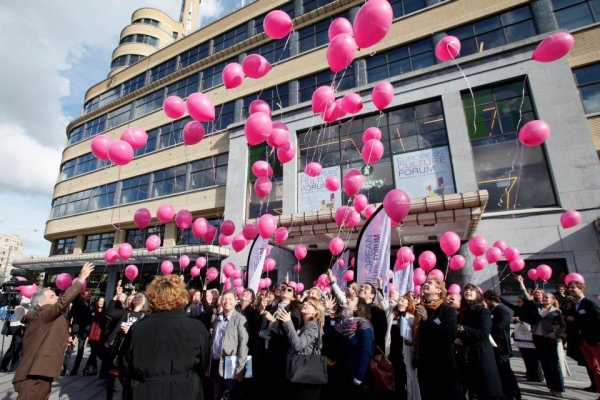 Thus, during the last elections to the European Parliament, network members held a series of events in which mimes asked citizens to go and vote on Election Day. 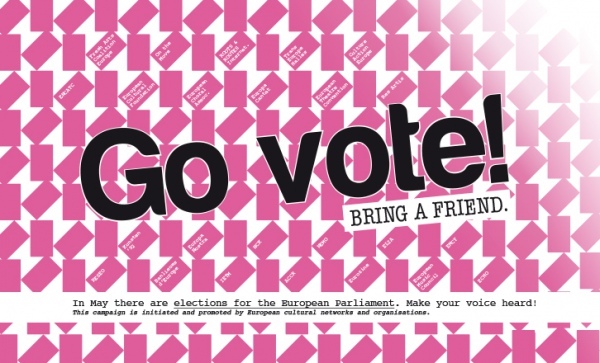 IETM flyers calling on citizens to vote at European Parliament elections. An interesting example of a cross-sector alliance is The European Cultural and Creative Industry Alliance (ECCIA). It includes representatives of creative industries and manufacturers of consumer luxury goods. It emphasises in its charter that both are the result of thousands of years of European culture. They emphasize the fact that they require the special attention of European legislators as they represent industries that are growing faster and earn more than the average indicators in the region. Today, the ECCIA includes five national networks and over 400 entrepreneurs. As for the future of advocacy, experts are convinced that the role of alliances will only grow. Due to activists and the rapid development of social media in society, more opportunities are emerging for initiating dialogue with authorities. Besides social media, the steady increase in the population’s mobility, especially within Europe, is impacting the efficiency of advocacy processes. In what way can the experience of European NGOs in advocating cultural interests be interesting for Ukraine? 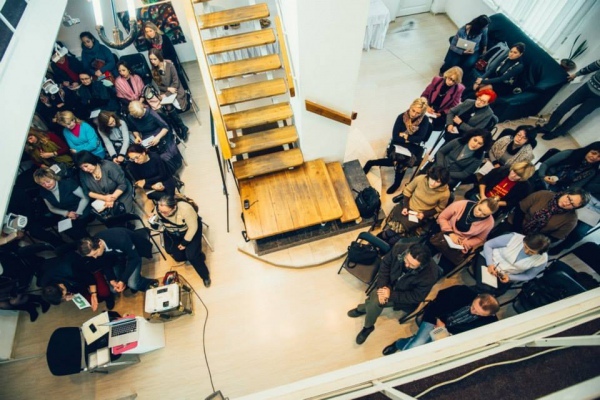 The European course of development and the increase in mobility of national cultural managers help Ukrainian organisations to get more actively involved in European cultural processes. The Creative Europe Desk is starting its work in Ukraine. The cooperation of local culture activists with networks is deepening. Thus, the Congress of Cultural Activists has already joined САЕ. “The challenges facing the EU are in many cases challenges to European culture. That is why members of the network seek joint solutions and relay them not only to expert communities but also to member of the European Parliament who subsequently makes decisions which benefit the European Union and don’t undermine cultural processes,” explains Olena Pravylo, the chairwoman of the congress. Today, membership of networks and alliances is, first and foremost, helping Ukrainian activists to find partners abroad (as well as provides new funding opportunities), nevertheless the advocacy experience can be – at least theoretically – used in domestic spaces to build a new discourse for dialogue with the authorities. Until now, social dialogue in the cultural sphere has been, to put it mildly, very difficult and there is much to learn from our Western neighbours in this respect. “In-depth work with parliamentarians, nominating culture MEPs could, in my opinion, be used as a model for Ukraine. We need to add a positive cultural discourse to the agenda. Now, when you speak about cultural needs to officials, they laugh. Because those who work in the cultural context are absolutely divorced from any pragmatic interactions. We can bring new meanings and solutions, and we have to learn the language of politicians, economists, finance professionals, and only then would we have the opportunity to get through to them,” emphasises Pravylo. Today, an attempt to advocate the interests of culture by way of systematic efforts via the sector’s representatives is already under way in Ukraine. In autumn, the Platform for Strategic Initiatives “Culture 2025”, the Congress of Cultural Activists and RPR Culture announced the creation of the Alliance of Culture. Its goal is to advocate the Culture Development Strategy developed by volunteers at the highest level of government. “This is a case of when participants sought to strengthen, and not weaken, one another. Unity gives a common voice, coordination of actions, while, at the same time, making all processes longer and more cumbersome because many approvals are required. But longer is better than continuous unproductive disputes. As a result, we have shared among ourselves the functions that we jointly coordinate during regular meetings. For example, Culture 2025 is focused on the development of the Culture Development Strategy project, RPR Culture on advocacy, the Congress on engaging specialists from all regions, and so on,” explains Olesia Ostrovska-Liuta, a member of the Culture 2025 working group. Predicting whether such an attempt at collaboration would be successful is difficult at this stage. If cultural representatives lack examples of successful advocacy, they surely do not have any experience of successful cooperation. 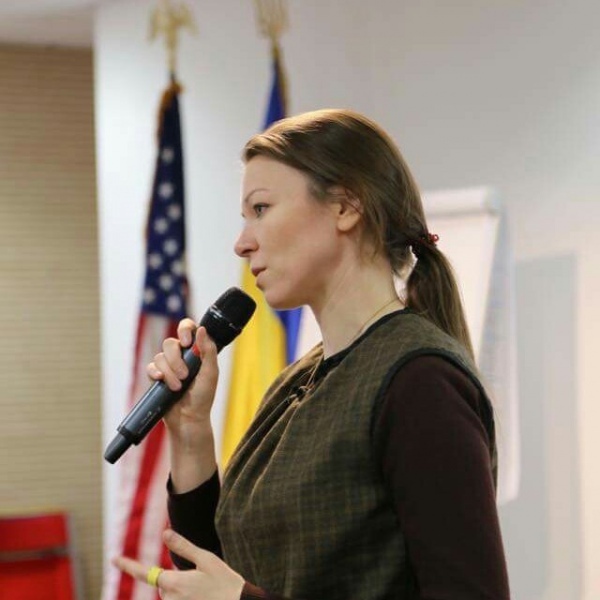 “Cooperation with different groups of influence has given me a clear understanding of culture as something important, something that can change society and help in reforms, but this notion does not exist in the minds of decision-makers,” says Olena Pravylo. When examining the EU’s experience related to cooperation between cultural organisations, the fact that their joint efforts actually have a significant impact on the integration process within the European Community should be noted. The joint projects of different countries can also play an important role in Ukraine-EU relations and contribute to European integration. After all, cultural managers can act as ambassadors of culture abroad. However, in order to be able to work effectively in European alliances, Ukrainian alliances should develop horizontal cooperation in national networks that could (and should) reform relations with the authorities and build them in the future on the basis of dialogue and not disregard. Europe’s experience – although it may not be easy to apply in our harsh spaces – may nevertheless become a good source of practical advice and inspiration for us. This article was written with the assistance of the EU-EaP Culture and Creativity programme.